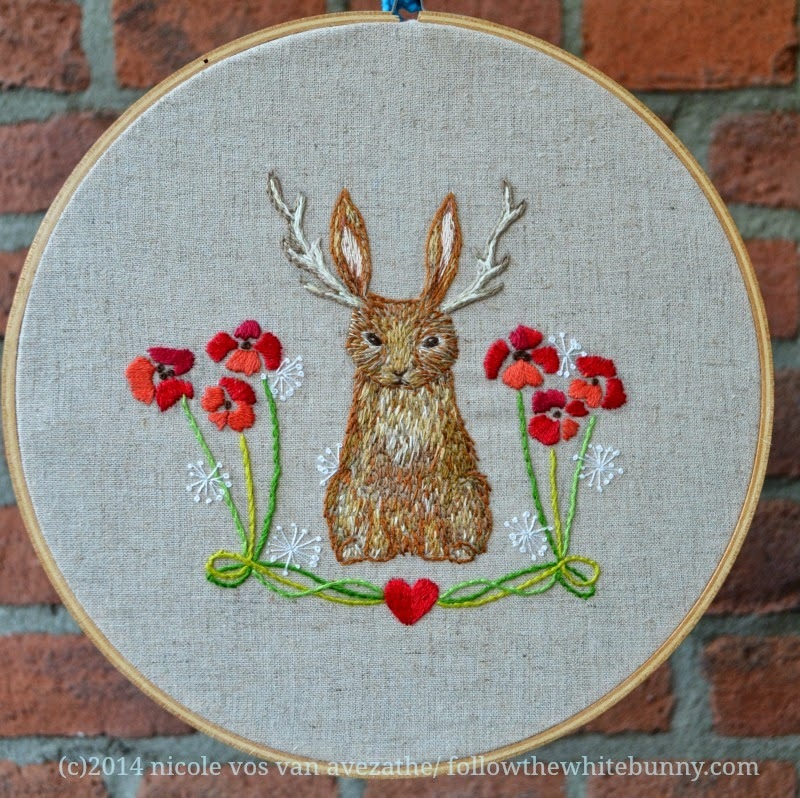 Follow the White Bunny: Dapper Jackalope Pattern available now! Dapper Jackalope Pattern available now! Isn't he sweet, this dapper Jackalope? As I mentioned recently: it's my first pattern since last October so it really *was* time for a new one. I'm really happy with it and I hope you all like it too! The pattern includes colour and stitch suggestions and is now available as instant download (so you can start stitching tonight!) in my shop. Wow! It's wonderful! I love it! Very cute pattern! I love the frame of poppies and dandelion seed heads.